Heineken is backing the +Pool, a project to build a floating swimming pool that will filter bacteria and contaminants in New York City's East River, with a scheme to donate money to the project and a film it created in conjunction with Tribeca Studios. 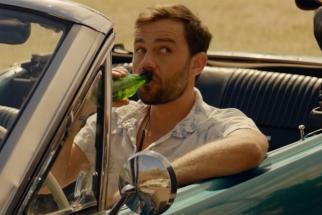 Narrated by sometime Heineken pitchman Neil Patrick Harris, the film tells the story of how the +Pool came about. 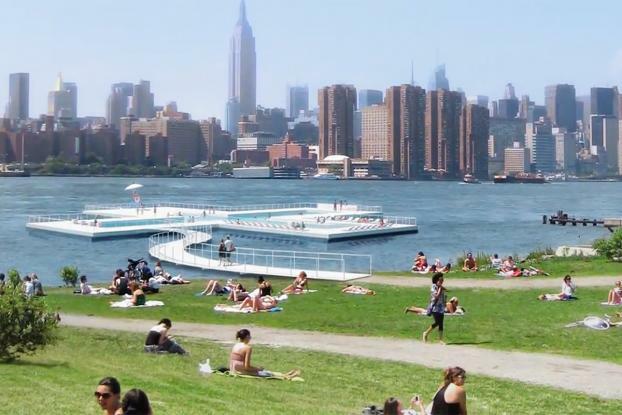 The idea was born in 2010 when one of its co-founders, architect Dong-Ping Wong, simply wanted to swim in the river in New York. The team has been working on the idea ever since. "We had fundraising every day, every month, every year," says Archie Lee Coates, co-fournder and executive director of +Pool. "We have been working with the City of New York for a number of years. We are finally at the point that we know we need to build it." Now they are working with the city to identify the best location for the pool. Produced by Tribeca Studios and directed by M ss ng P eces' Ray Tintori and Giaever, the film includes interviews with its founders and footage of how the plan developed. Harris' jaunty narration and some fun graphics and animation (by Ntropic) make it an interesting watch (it's nearly nine-minutes long). 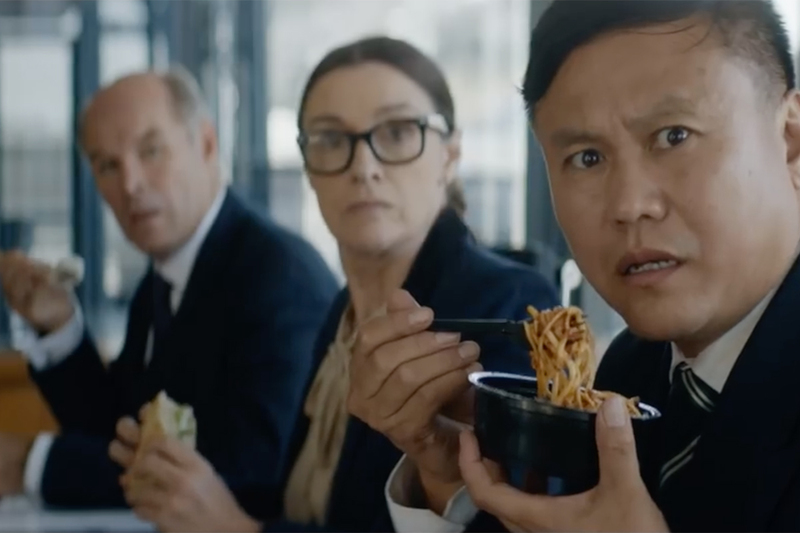 The video also highlights Heineken's involvement -- the beer brand has pledged to donate $100,000 to +Pool, if 100,000 people sign a free pledge to swim in the pool when it's complete. Those interested can sign the petition at Heineken's new swimintheriver.com website. 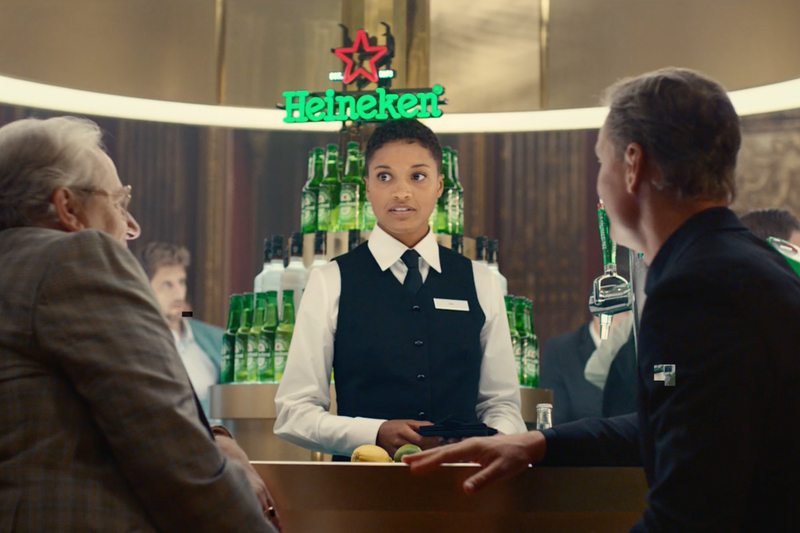 Heineken is backing the project as part of its Cities Project, a multiyear program through which the brand supports big ideas for improving U.S. cities. Launched in 2015, its previous projects have included restoring Miami's Marine Stadium.